Dr.Malpani's Blog: Why pharma marketing needs to put patients first ! Why pharma marketing needs to put patients first ! 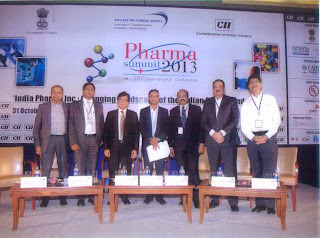 I was invited to be part of the panel at the CII Pharma Summit 2013. The key person missing at this conference was the patient ! One of the big opportunities for pharma to reinvent themselves is by promoting patient advocacy by educating patients using digital media. Patients have lots of questions about the drugs the doctors prescribes them. Most of these doubts about side-effects are never answered by either the doctor or the chemist. This lacuna is a huge opportunity for pharma to step in, and educate patients about the medicines their doctor has prescribed for them – after all, pharma is the scientific expert on the molecules and has a responsibility to ensure they are used properly. Pharma needs to educate the user about this medicines, when he wants this information ( usually, before he actually swallows the pill). Pharma has to be honest, open and transparent, and provide information which the patient wants to know ( warts and all ! ); in terms he can understand; and also check that he has understood . healthy . Doing good can do pharma good ! Is this cost effective ? The ROI can be measured , but not by tracking the number of likes ! The entire pharma industry is based on science, and they need to learn to apply this to marketing as well ! Pharma needs to run controlled experiments in marketing – and marketing team needs to learn how to do this split A/B testing or controlled marketing trial from the medical R& D team. They need to formulate a hypothesis – that educating patients about their medicines will create good will for them in society; create a positive buzz; improve patient compliance ; and enhance patient loyalty to their brand. They then need to run a trial , using split A/B testing, thus allowing numbers to drive informed marketing, rather than going by preconceived notions, many of which maybe flawed . The right way to approach this is – We don’t know how cost effective this new channel is, so rather than go by our gut feel or by what “ experts “tells us, let’s run a controlled trial and let our patients teach us !